Mother’s Day is Sunday, May 10, in the United States, and it’s a great day to honor the moms and motherly figures in our lives. We’d like to recognize all working moms by sharing interesting facts, gift ideas, and an in-depth look at the women who make both Mother’s Day and the workplace something to celebrate. Finding a job and maintaining a positive work-life balance can be tough. For working moms, it can be even more difficult. Fifty years ago, it wasn’t very common for mothers to be a part of the workforce, but that’s a trend that has changed today. In fact, the U.S. Department of Labor reports that 70% of women with children under 18 participate in the labor force. This equates to roughly 31 million working American mothers. When comparing the years 1961-1965 with years 2006-2008, this change in the labor force becomes even clearer. In the 1960s, only 44% of first-time mothers worked during their pregnancy, while 66% of first-time moms worked during their pregnancies in the 2000s. Additionally, only 17% of women returned to work within a year of their first baby’s birth in the 1960s, compared to 64% who returned to work in the 2000s. Furthermore, in the 1960s, only 11% of working mothers were the sole or primary breadwinner for their families, compared to 40% of women today. Many mothers take care of household tasks while also maintaining full- or part-time jobs. These tasks include cooking, cleaning, managing family finances, chauffeuring, and shopping. According to the Insure.com 2014 Mother’s Day Index, tasks that moms perform at home would be worth nearly $63,000 a year in the professional world. 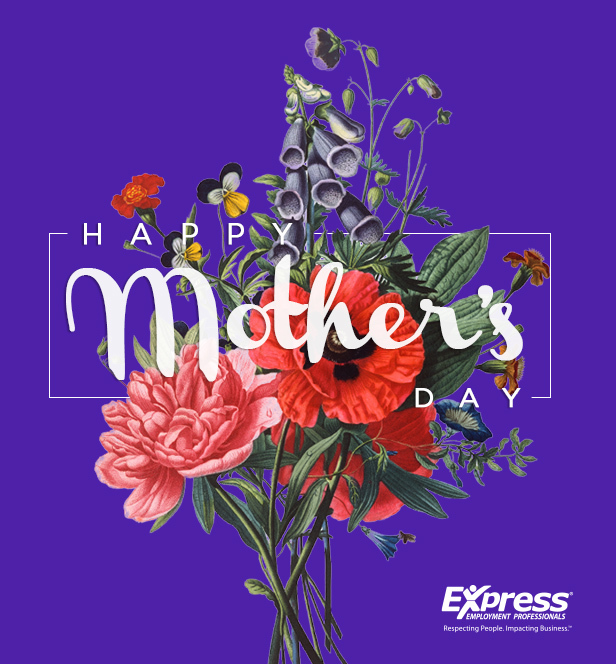 According to CNN, 141 million Mother’s Day cards are exchanged every year in the United States, and more people purchase fresh flowers and plants on this day than any other holiday, except for Christmas. In fact, Mother’s Day accounts for one-fourth of all holiday sales of flowers and plants. According to Insure.com, a card or flowers will be appreciated on Mother’s Day. But, what do moms really want? A 2014 survey of mothers revealed that the top picks for Mother’s Day gifts include a day at the spa, a family getaway, a nice dinner, chocolates, breakfast in bed, and handmade gifts from their children. Are you a working mother? How do you find a balance between your work and home life? Share your tips in the comments section below!